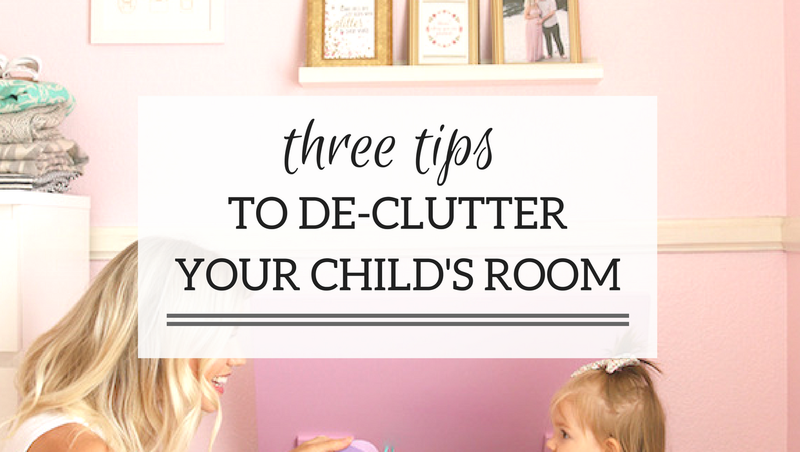 Today, I am sharing a few tips for using up all the space in your little one’s room plus great ideas for de-cluttering! I am not a fan of stuff. I don’t like having things I don’t need or use around, so if it is not useful to me, it either gets packed away for another time (aka the next baby) or gets donated. At first, it can be quite overwhelming to purge and de-clutter. A helpful tip is to act like you’re moving. When going through the items, have three empty laundry baskets in the middle of the room: one for items you want to get rid of, one for items you want to store for the future, and one for items you want to keep. Only keep items that you, or your child, love enough to lug with you to a new house. Also, consider the rule of six months: if you’re child hasn’t worn an outfit or touched a toy in the last six months there’s a reason – it’s an indication that it’s time to part ways. Make sure you do one area of the room at a time! It will be tough to control yourself when you get on a roll, but try to stay focused on each space before moving on to another. 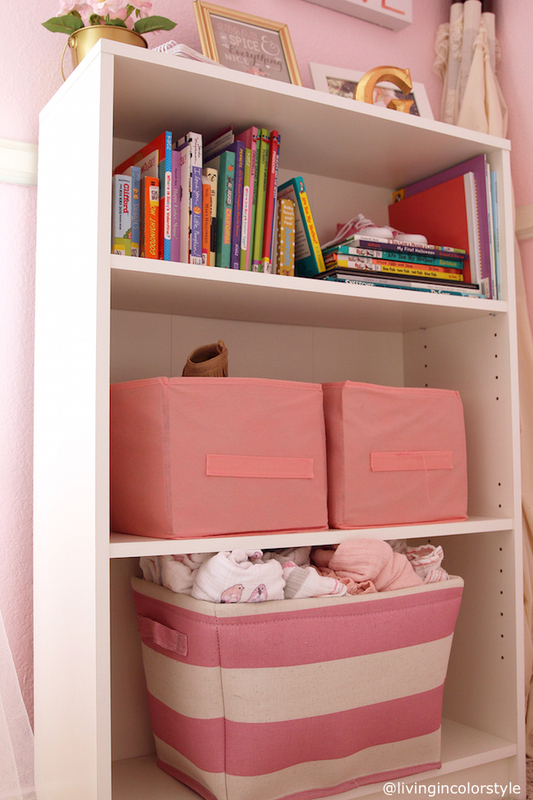 Reassess – after the initial de-clutter session, make sure you go through what you decided to keep and make sure it’s workable for the space, and things your child will actually want or use. kids. Same goes for clothes that don’t fit your child anymore. has outgrown are just taking up space. her toys so much that they all fit into this chest! toddlers get messy and grumpy! of shelves or dressers where pictures would set if I didn’t use these racks. fragile items to be very high up. or re-decorating: Keep it simple with your décor. Less is more. *Thanks to Delta Children for sponsoring this post. Product was provided for my honest review. 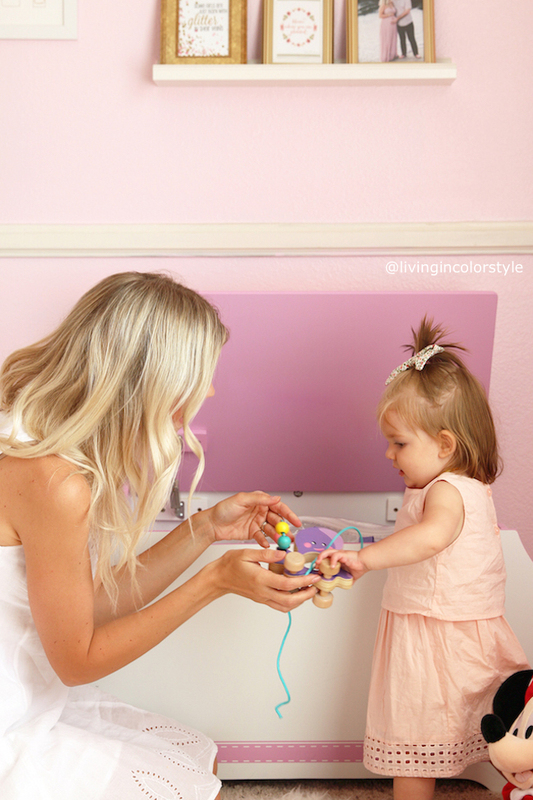 Love this toy box so much! Delta has some os the best kids furniture! These are great tips! I love the toy box! What great tips! With three kids, all boys, staying organized is hard. I'll also have to check out Delta Children! So cute! And great tips! Such an adorable post! Great tips too! Adorable- super useful tips, whether you have kids or not! What a perfect bedroom! So cute. 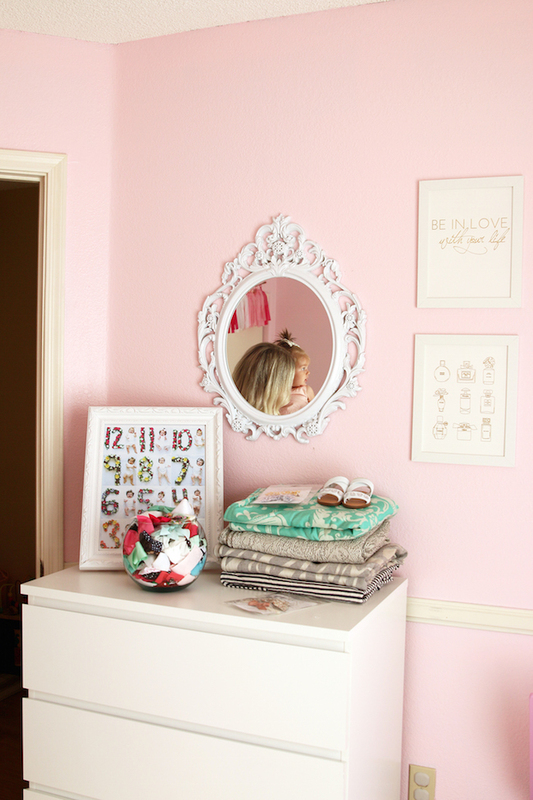 These tips are awesome and her room is so cute! This post couldn't have come at a more perfect time! I am so overdue for a big declutter!!! I live by the Less Is More decor strategy! Love this post! 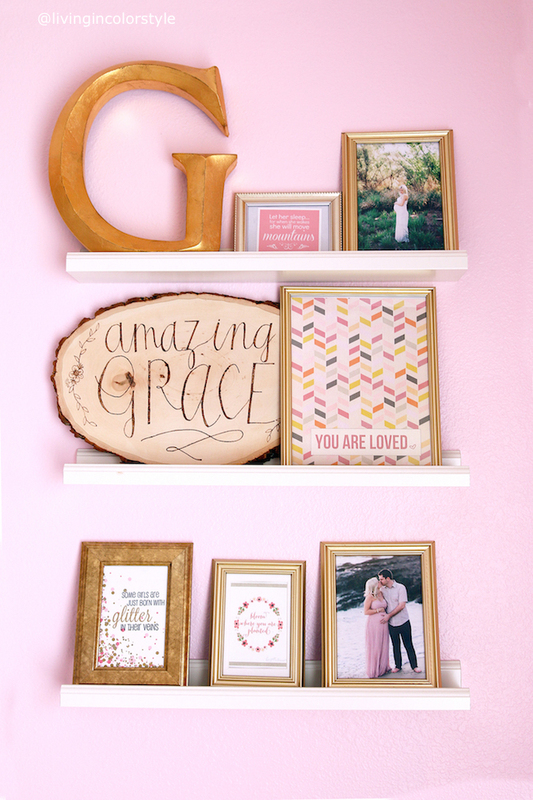 Your little girl's nursery is seriously the cutest! 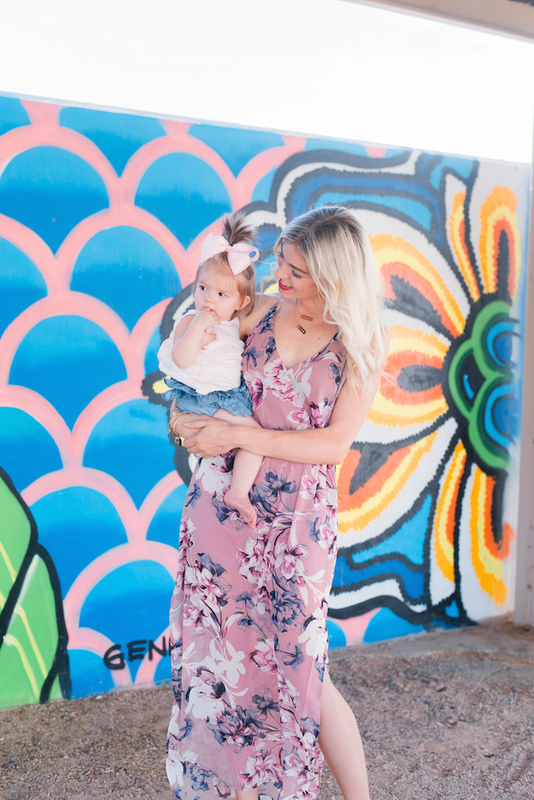 Obsessed with all the pink! 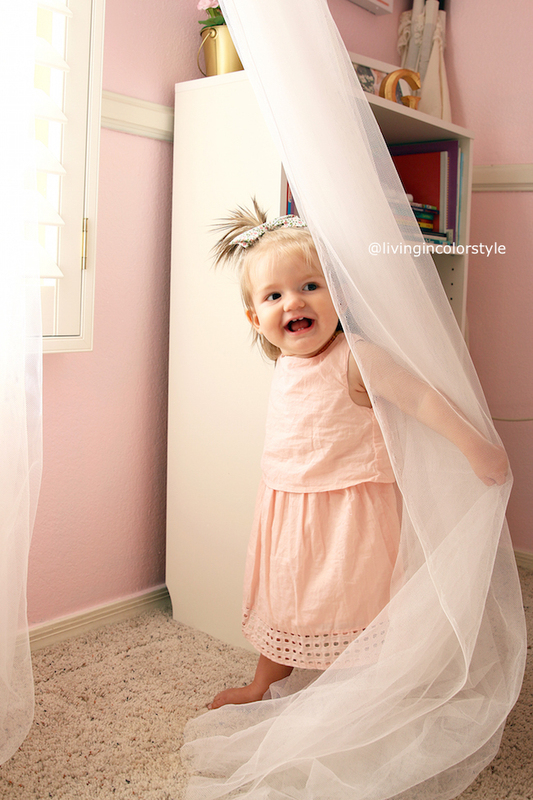 Her room is just so cute! But I'm not surprised because you have great style! I would seriously pay you to come declutter my daughters room! It just gets away with me!! Beautiful photos pretty mama. Can you come declutter my room? I'm not a kid haha, but I'm sure you'd work wonders! These are fantastic tips!